Futureboogie Recordings, Bristol-based self proclaimed purveyors of fine dance music, is gearing up to drop its 50th release this April, 50. 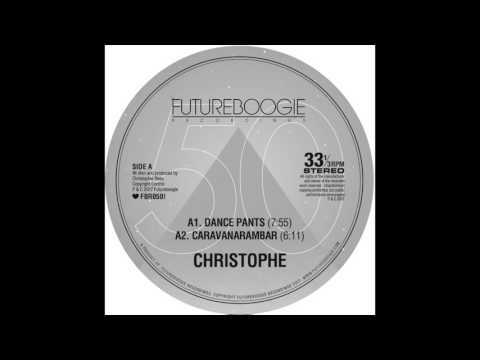 For such a special occasion, the label has tapped frequent collaborator, Christophe, who has released multiple EPs for Futureboogie over the past few years. In addition to his musical contributions, he is also the label’s graphic designer, and is responsible for all of the artwork since the label’s inception. 50 consists of four brand new tracks from Christophe and each displays his propensity for crafting contagious acid tracks that vary in tone between deep psychedelia and more classic, prime-time acid house. The A2, “Caravanarambar,” is sonically just as meandering as its title – the song is a true roller that perpetuates wandering synth melodies that change in complexity over the course of the track. Energetic from the jump, the bassline recalls the best of funk and disco while a heavy percussive sequence keeps the track firmly rooted in house. Dreamy pads and single octave arps are welcomed layers that add an incredible etherealness to a track that is already sonically arresting. If you weren’t hooked by the A1, “Dance Pants,” “Caravanarambar” should surely pull you in faster than a repress notification on Discogs.